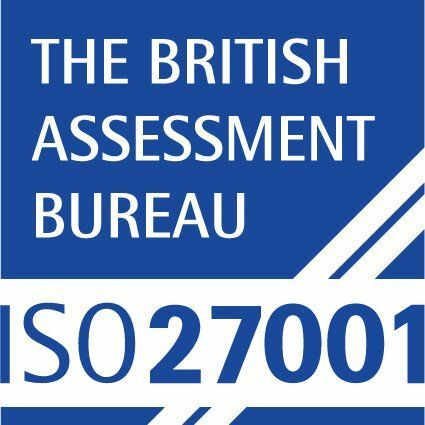 ISO 27001:2013 is a specification for an INFORMATION SECURITY MANAGEMENT SYSTEM (ISMS). An ISMS is a framework of policies and procedures that includes all legal, physical and technical controls involved in an organisation’s information risk management processes. The specification includes details for documentation, management responsibility, INTERNAL AUDITS, continual improvement, and corrective and preventive action. The ISO 9000 standard is related to QUALITY MANAGEMENT SYSTEMS and designed to help organisations ensure that they meet the needs of customers and other stakeholders while meeting related statutory and regulatory requirements. ISO 9000 deals with the fundamentals of quality management systems. ISO50001 is a recently introduced INTERNATIONAL STANDARD. It requires organisations to establish and maintain the required processes and systems to enable the continual improvement of energy performance – which includes energy consumption, efficiency and awareness. The implementation of the standard is expected to play a major role in the reduction of energy consumption as well as CO2 emissions, and to deliver various other environmental and economic benefits. LDeX are one of a very small number of independent colocation operators to have achieved and adhere to this standard. The European Commission’s Code of Conduct on Data Centres’ Energy Efficiency is a voluntary code that organisations can SIGN UP to, committing them to implement measures to reduce energy consumption. The Code’s stated aim is to inform and stimulate data centre operators and owners to reduce energy consumption in a cost-effective manner without hampering the mission critical function of data centres. The Code achieves this by improving understanding of energy demand within the data centre, raising awareness, and recommending energy efficient best practice and targets. Investors in People was formed in 1991 to help UK organisations and their employees make the most of their abilities. Two decades later, we’re a trusted advisor on people management, and our accreditation is proudly held by businesses of all sizes that meet the Investors in People standards. LDeX are delighted to be part of the IIP programme as we believe in nurturing growth from within and developing the skills, knowledge and expertise of our staff so that they can reach their career goals and aspirations.